I’ve gotten a few requests for updates, so it’s about time. 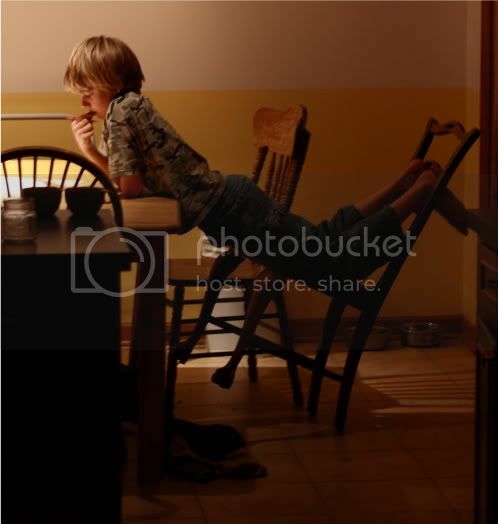 One mega-post to cover four kids, all subjects. Here’s what we’ve got going for 2013-2014, and how we like it so far. Quick version: Two bigs are in 8th and 6th, enrolled with Kolbe but doing varying amounts of the program. Littles (4th & 2nd) are freelancing with a variety of stuff, increasingly workbook-y, because that’s my life. Grammar: Mr. Boy is doing 8th grade per Kolbe, Voyages in English (now called “Lepanto English” I believe.) Grammar nerd that I am, I still like it. 6th Grader is sitting through a year of Classical Conversation’s “Essentials” course, which is an exacting (some would say: exasperating) tour of grammar and heavy-handed editing. It suits her fine, in an anything-that-doesn’t-kill-you way, but we’ll be back to Voyages next year. NB: Classical Conversations has a strongly, strongly protestant world view. Just sayin’. FYI, I’m happy we are doing the class, it serves our purposes. 4th and 2nd Grader are doing the Language of God workbooks from Catholic Heritage Curriculum. They don’t like them, because they don’t like anything in the genre, but I do. Heavy on the Catholic-ness, makes Voyages/Lepanto look like secular city. I’m good with that. Vocabulary / Spelling: 8th & 6th grader continue with Kolbe’s recommended vocabulary book. I remain very happy with it, and they seem to do pretty well and not mind it. 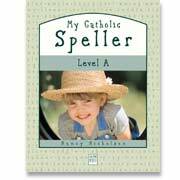 Littles are using CHC’s Speller, same comment as per above. The CHC 4th grade program is a much lighter program than the Sadlier-Oxford Vocabulary. For phonics / word study, all three girls are going with the Kolbe-default, MCP plaid. I continue to like it very much. We skip some of the exercises that aren’t my favorite though, usually the “write a letter to your friend . . . ” ones. We’re in it for the phonics. Geography: Kolbe changed their geography book, and I haven’t seen the new one. I like the old one so much I bought the levels I didn’t have on clearance from the friendly Kolbe bookstore lady. But we’re in an off-year for geography, too much going on elsewhere. We’ll be back at it next year. 8th Grader is doing Christ in the Americas, per the Kolbe plans. He complains it’s all pro-Catholic agitiprop, but I like that. (It is a survey of American History, but with a strongly Catholic orientation.) He did Christ the King Lord of History last year, same complaints / parental approval. Tip: Kolbe publishes two sets of course plans for these — one for middle school, one for high school. If you aren’t sure what to choose, you can request both (if you’re enrolled), then take a look and see which is a better fit. 6th Grader is doing CHC’s From Sea to Shining Sea. Alert: There are other US History books with the same general title. Make sure you pick the correct one. 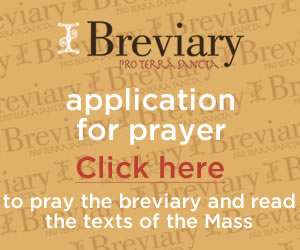 We like it very much — colorful, informative, readable, happily Catholic. She likes this better than last year’s Founders of Freedom, which was a little too vintage black-n-white for her tastes. Since she has a lot of work in other subjects, I’m just having her read the text (we did not purchase the workbook, teacher’s manual, etc.) and do one project a quarter for tangible work for the portfolio. I was stymied on where to find suitable US History texts for the littles until I got to look through Seton’s table at the IHM Conference this summer. My 4th grader is reading through both books 4 & 5 this year (Seton divides US history over two years), and the 2nd grader is reading book 1. They are doing personal-choice reading to go with, heavy on American Girls novels and the like. Religion. I love Faith and Life. Very happy with what Kolbe does there. All four kids are on the program. 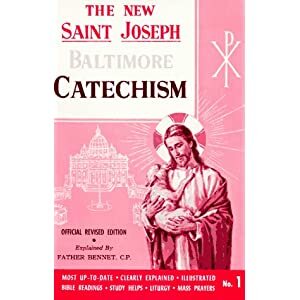 And I don’t care what anyone says, the Baltimore Catechism is one handy book. I approve. We fill out those two with lives of saints in literature or normal life. Bible History. Kolbe makes this a separate junior high class from either religion or history, it does a survey of the Bible spanning two years. I’m happy with it, as far as it goes. There are workbooks for both this and Anne Carroll’s American history books mentioned above, and they are good for drilling memorization of key facts. The boy is also reading through the Bible with the SuperHusband: I wouldn’t do *only* a survey book at this age, anyone reading on grade level should at least be doing the Mass readings, if not going through the Bible directly. For the girls, 6th grader has split the The Catholic Bible Story Workbook from Fireside over two years, and she really enjoys it. There’s no reason you’d need to stretch it that much, it could be easily completed in one year. She gets to stretch it because I’m doing that coordinated-topics thing. Littles are getting a read-aloud from a children’s Bible. Mr. Dunphy. Everyone likes that one. Mr. 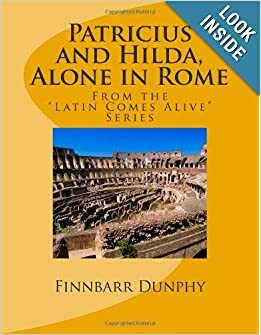 Boy is also rounding out his work with an assortment of reading from Familia Romana and the odd exercise from the Oxford Latin Course, which I still think is cool. Head’s up on foreign languages: Next year we resume French. We won’t be dropping Latin altogether, but I’m not going to push the boy through three consecutive years of More Rigorous Latin for high school credit purposes. He’ll do a modest amount of Latin for an elective, and French for his official college-admission-worthy language study. I have no idea what books I’ll use. Something inexpensive, I think. Normal people should not get ideas from me. Math. Still happy with Math-U-See. We’re like that. Science. Mr. Boy is doing Physical Science per Kolbe, and it seems to be going pretty well. Not a lot to report. It’s a science book. You read it, you do the work. We haven’t had our giant Festival of Laboratory Activities yet. It’s coming. Probably over Christmas break. NB: Some of the labs are definitely of the type you might want a scientist around to help you with. Meanwhile, the girls are doing Classically Catholic Memory, because that’s what happened to us, happy accident. My friend is teaching a 30-minute science activities class once a week at our new co-op, and it follows that program. So for the girls’ science, I dug through my textbook collection (a combination of Kolbe’s go-to and ancient freebie copies of Abeka books, mostly), and picked out reading assignments that correspond with their work each week. –> CCM is also providing quite a bit of supplemental work in everything — Literature, history, math, religion, Latin, geography etc etc. Composition. The boy is excused from the Kolbe composition book (Sadlier-Oxford – no complaints) because he has to endure my homegrown editing class once a week. We’ll go back to stock plans on that next year. 6th grader is excused since she’s doing IEW with Classical Conversations. We’ll go back to default for her as well. Littles are just writing stuff. They’re still little. 1. The instruction videos are so painfully mind-numbingly boring that strong language is probably appropriate. All the CC moms have to watch them. I write other things (rough drafts for CatholicMom.com columns, usually) during all the minutes that the video guy is belaboring his points. There *is* useful stuff, but it’s a ratio of 5 minutes of useful for 30 minutes of pre-purgatory. I jot down the useful bits and then go back to thinking about something other than elephant essays. Yes. Elephants. I never, ever, want to see another elephant essay again in my life. NB: If you were not a professional writer, you might find the hand-holding helpful. 1A. Why yes, I realize the internet it littered with poorly-edited work of mine. Knowing what to do is different from doing it. I seem to recall a line in The Merchant of Venice to that end, pronounced just before splashdown. 2. The course calls for certain writing techniques that would make many an editor cry. Mandatory use of “ly” words, changing out “said” for assorted exclamations and whispers and murmurs and so forth . . . let us say: stylistically heavy-handed. If you treat IEW as the last course you ever take before you submit your manuscript, people will laugh at you. BUT it is fantabulous for teaching you to control your words and ideas. If you don’t learn to develop the word control that IEW teaches, editors won’t just laugh at you, they’ll stick your stuff in the garbage while they do it. 3. So it’s basically like barre exercises, or push-ups, or C-warm-ups. You train certain skills into mastery, so that you can call on them easily when you need them. I like IEW for that. That’s why were doing it. Also, if you never ever plan to become a professional writer, you can learn IEW and you work will be organized, coherent, and suitably edited for everyday use. 4. The people who make the student book we’re using don’t know much about the Catholic faith. Sometimes we laugh at them. And then I have to go to confession for uncharitable thoughts. So I won’t name that book here. 5. But hey, one of our parish co-op moms is an IEW instructor, and she’s going to maybe I hope offer the class next year, Catholic version. So then we can have our writing drills without the weird historical errors. I like that. I think for most kids, IEW is a class you could take once, or take once every few years. Or you could do something else that’s just as good. -Both are reading selections from assorted historical works, as found in Classical Conversations’ handy Prescripts book, American History edition. -Mr. Boy is reading a selection from CC’s Documents book as well. It’s a high school book, for sure. Most kids would not be reading this at his age, he is not normal. He also has a mom-assigned book each quarter. Q1 was The Fallacy Detective, Q2 is Frank Sheed’s A Map of Life. He just reads those, no extra writing work. -6th grader is reading mom-chosen selections from Book Six of the National Catholic Reader for her extra history-related literature reading. They both read this and that for their own enjoyment as well. Not necessarily high art, but I can work with it. Underhanded Mom Trick: If you read a book your kids would like if only they didn’t fear it was educational, don’t let them read it. Lend it to their friends. Then when it comes back, they’ll be curious. 2nd & 4th graders have mandatory self-selected reading from either National Catholic Reader or McGuffy, per their grade levels, one day a week. They do other student’s-choice reading the other days, and CCM includes some poetry in its memory work. Art: I’m not unschooling art this year! My friend is teaching an art class at the co-op, using Catholic Schoolhouse’s art book (year 2). We like it. Very amateur-friendly. Underhanded Mom Trick: I picked up some beautiful beautiful beautiful art-appreciation books from Seton this summer. Then I lent them to the art teacher. Because it’s much more interesting if it’s a book that Mrs. A uses, and not one that nutso mom-person says is so good. Handwriting: I am not a successful handwriting teacher. If you have ever seen my handwriting, you understand why. Pay no attention to me. But my naturally-talented, crafty and feminine handwriting girl learned cursive using Cheerful Cursive and she liked it fine. Whew. That’s enough for now. Did I miss any subjects? See the whole series here. Something Funny: WordPress has started putting ads in the free blogs (like this one). Which appear to this blogger as ads for WordPress’s paid services. Sometimes I wonder what you see. If you see something objectionable, do tell me. I don’t pick the ads. I am good at complaining on your behalf (and mine) as needed. Busy not blogging. And blogging. 1. Acquired a cold just strong enough to plant me in front of the PC and get some writing done for a change. I’d complain, except it’s really not that bad. For me. My family wishes I’d start making dinner again. I think. 2. 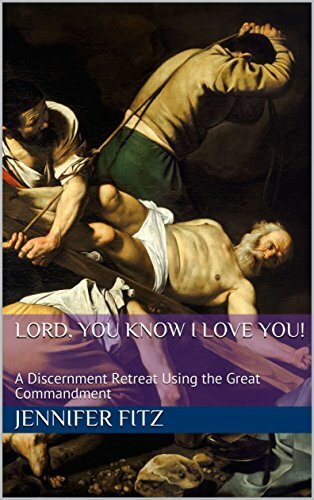 Posted my book review of the Didache series of textbooks up at AmazingCatechists.com. These are awesome books, and the new parish editions bring serious theology to high school and adult faith formation. Long-needed. Don’t cry to me you don’t have priests, but refuse to teach theology. How exactly is a boy supposed to fall in love with a something he’s never met? 3. Guessed at my login information for the Happy Catholic Bookshelf enough times that I finally broke in. And put up my review of Walking Dickens London. Verdict: I still don’t like Dickens all that much, but the guide book is awesome. Of course I had to put a reference to Rerum Novarum in the review. Only logical. 4. I cleaned out my inbox. If I still owe you an e-mail about something, you’d better tell me. Because I’m under the mistaken impression I’m all caught up. 5. Planted the potatoes that were sprouting in the cardboard box in the living room. Ditto for some garlic in the bottom of the fridge. 6. I’ve written about 5,000 words on the homeschooling manuscript. Also pre-wrote my January CatholicMom.com homeschooling column, because once you get school on the brain, and a cup of coffee, these things just pop out. 7. I got all vice-presidential over at the Catholic Writers Guild. Being VP is almost exactly like being the blog manager, except that instead of plaguing the officers all month long with bad ideas and unhelpful suggestions, you also get to do it during the monthly officer’s conference call. I think someone nominated me because the existing officers were already practiced at telling me, “No! Quiet! Sit! No Biscuit!” so it makes their job easier. So mostly as VP I amuse people with my ridiculous ideas, and about 1 time in 10, I think one up that someone makes me go do. And then I regret it, and don’t think up any more ideas for at least 10 minutes. Also, I goofed off on the internet more than I had planned. It happens. I was sick. Kolbe calls for Saxon Math as its default math program for upper elementary school. That’s the one in the course plans, and it’s one I’ve looked at but never used. The Kolbe plans primarily serve to divide out the work day-by-day; there is not math instruction in the plans. (In contrast to say the religion course plans, which include teaching suggestions in the daily notes of the course plans.) There are quarterly exams in the course plans, so you can do an exam at the end of each quarter that will line up with what was covered in the plans. The exam answer keys show not just the answer, but the “show your work” way that the problem was solved. Saxon’s reputation: A lot of people love it. It’s the A+, teacher’s pet of math curricula. If you successfully complete Saxon, you’ve got a well-trained math student. People who don’t like Saxon tend to not like the homework: For each lesson, the homework includes a relatively small number of practice problems for the new concept (so complain those who want more practice), and many problems that review previously-taught concepts (so complain those who can’t bear repetition). The latter problem is easy to fix — just don’t do all the homework problems. If you have a student who tends to need more practice to “get” a concept, preview the curriculum and see if it looks like it will provide enough help for your child. Kolbe’s second-choice recommendation is Singapore Math. Give it serious consideration, because it’s the top choice of some well-regarded homeschool moms. Look here for Rebbecca Frech’s comments on Miquon & Singapore Math, and here for her general approach to teaching mathematics. Another homeschooling friend and math-professor-on-homeschool-leave recommends the Life of Fred, which her kids love. I ordered a book, and my 5th grader is excited about using these to review and master the topics she’s been learning. She likes the story-format better than a regular math book, perhaps in part because she has spent many years with a regular math book. I’m not persuaded every family would use Fred as their sole math book, though. But it’s a good resource to know about. Note also, that MUS’s scope and sequence is not the same as in most public schools. It would not be the best choice for someone planning to put the kids in and out of school during the elementary years. On the other hand, if you have a struggling math student and want to spend a summer on review, the videos and a workbook used strategically might be a way to help a student master a topic that had never quite clicked. Finally, I’d be remiss if I didn’t mention the controversial Teaching Textbooks. People hate these for all sorts of reasons, some of them (reportedly) valid. But people love them because they let you sit your kid in front of the machine, do the work, done. They seem to be most popular with non-math kids who just need to get the basics down by moving at their own pace, and with families that are extremely overloaded and need a method that is not parent-intensive. You the teaching parent like the general approach. If you don’t believe in the method, you’ll never last 10 minutes when your kid digs in the heels and tries to talk you out of it. It fits your family’s needs and abilities. People vary in how well they read, how easily they learn math, how much hands-on time the parents have, and so forth. Shed the fantasy life and be the math person that you are. The big problem with math instruction: Not enough of us love math. And those who do love it are divided into those who have fun with it, and those who take perverse pleasure in accomplishing nasty chores. It is very hard to teach a subject that you don’t personally enjoy. My advice if you are competent at math but just don’t love it* — and this is me, and so I constantly nag myself with this advice — is to keep searching until you find a way to love it. Be it via games, or making a sport of comparison shopping for groceries, or rewarding yourself with chocolate for every twenty minutes spent faking it for your kids’ sakes, try something, anything, to get you past the I-hate-math hump. Don’t give up on yourself — keep trying different things until something clicks. Okay readers: What’s your favorite math curriculum? Supplements? Games? Websites? Recommend away. *People think accountants are math whizzes. Some are. But accounting actually only requires about an 8th grade math education, and a teeny tiny bit of algebra, sometimes maybe. In any case, I am not the kind of accountant who just loves adding columns of numbers. I am the kind of accountant who loves creating spreadsheets that add numbers for me. Also I like to figure out what went wrong with your computer and make it work for you again. I like figuring out why the government just sent you a nasty letter, and then digging through your confused box of documents and showing you how to properly fill out your form the second time around. That kind of accounting. I am not the person you want keeping your books. I am the person you want to call when you suspect your bookkeeper is up to no good. That’s what I like. Accountant detective work. 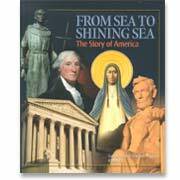 Homeschool Bleg: Our Lady of the Rosary School? Anyone have any experience with Our Lady of the Rosary School? A friend asked for my opinion, and I know nothing. Please share! Thanks. For Geography, Kolbe uses the Map Skills series from Continental Press. It’s rare that a teacher with a passion for a topic is wholeheartedly enthused about a particular textbook, but I am in love. Love. LOVE. This is the best thing going. It’s an 8×11 glossy full-color paperback. The fourth grade book has about 42 lessons, the sixth grade book has sixty. So throughout the course of the year, students do one or two lessons per week, depending on how you divide it out. Each page is its own self-contained lesson. The student reads the explanation and then answers the questions using the map on the page. Self-contained and self-teaching. Once or twice there has been an assignment that required using a separate map (ie, “a map of your state”), and we’ve pulled out the globe as well. My sixth grader considers this to be the fun page — like doing one of those puzzle games on the children’s menu at the family restaurant. My fourth grader can read the lesson and do the work by herself 90% of the time. Real maps from around the world. There’s never an assignment using a fictional map to illustrate a point. 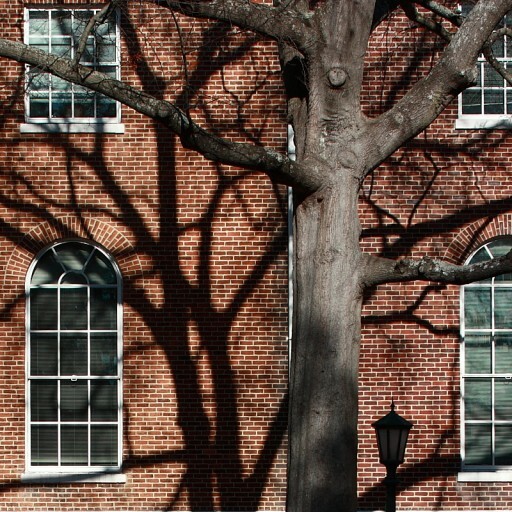 The Kolbe course plans periodically call for map-memorization (state capitals, etc. ), but just doing the work in the book is an education in world geography all on its own. Spiral curriculum. You can start the series on grade-level, even if your student has never done geography before. The fourth and sixth grade books cover all the same essential concepts — the difference is that the sixth grade lessons delve into each topic with a little more detail and little more difficulty. I believe Kolbe stops using the books after 6th grade, though there is a final book for grades 7 or 8. If your older student has never studied geography and needs to be brought up to speed, just pick up the last book and it’s all there. To study geography, or not? I think it’s fine to do geography some years but not all, or to spread one book over two years. But geography matters, and is a skill of its own separate from the subjects it supports. History and earth science make no sense if you don’t also know geography. And trip planning? Let’s just say it’s no fun traveling with people who can’t or won’t read maps. In my experience, struggling students are sometimes helped by easing off the overwhelming subject, and exercising the brain elsewhere. The geography in this series requires math, reading comprehension, writing, and visual processing skills. So in our family, my inclination is to reduce the number of assignments from the National Catholic Reader (but still do some of the better selections) and hold onto geography, at least most years. The course plans call for students to do two assignments per week. There are no quarterly exams. Other than a few “memorize this” or “practice that” assignments, the plans simply divide the book so students know how many pages to do each week. So if you are not enrolling with Kolbe, I’d skip these plans and write your own chart of how many pages to do. Or just open the book and circle pages. Write in the book, or not? This is not a reproducible, so photocopying assignments violates the copyright. There are some assignments that require students to label the map in the book. We chose to have the kids write their answers on separate paper (works 85% of the time), if there was a map to label, we’d just do that assignment orally, and the student could point to the answer on the page. The glossy pages are fairly durable, so the book should hand down as well as any other text. Given the option of buying the book themselves or writing on a separate sheet of paper, both kids decided to save their cash for better purposes. What else do you want to know? I’ve got the fourth and sixth grade books on hand, and the course plans, so ask away.